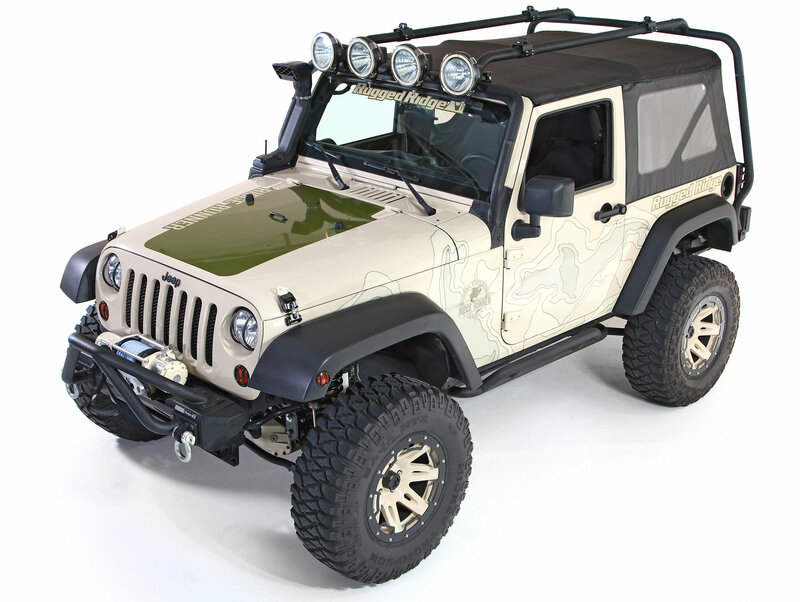 Introducing the new Sherpa Rack System by Rugged Ridge for the 2007-2013 Jeep® JK Wrangler. 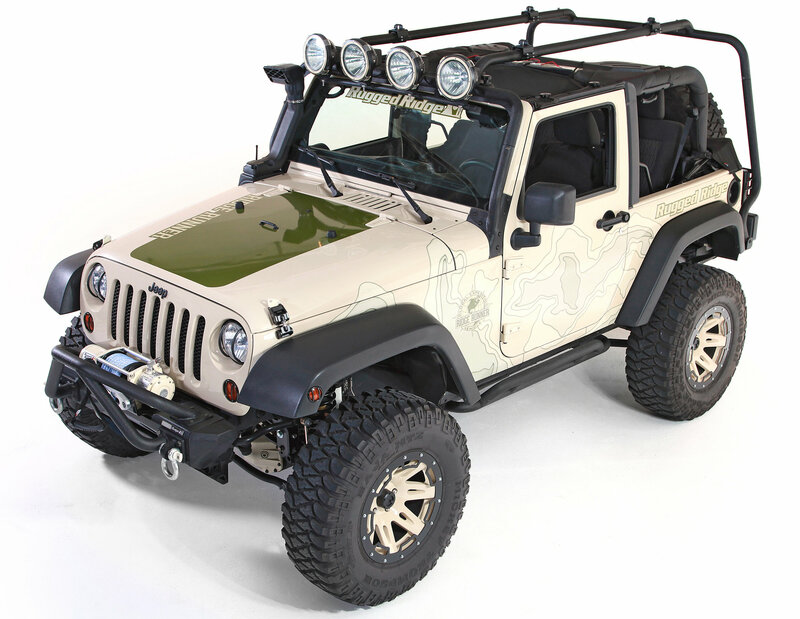 This innovative rack system is an easy bolt-on solution for 2 or 4-Door Wranglers that requires no drilling or modifications to the body of your Jeep. 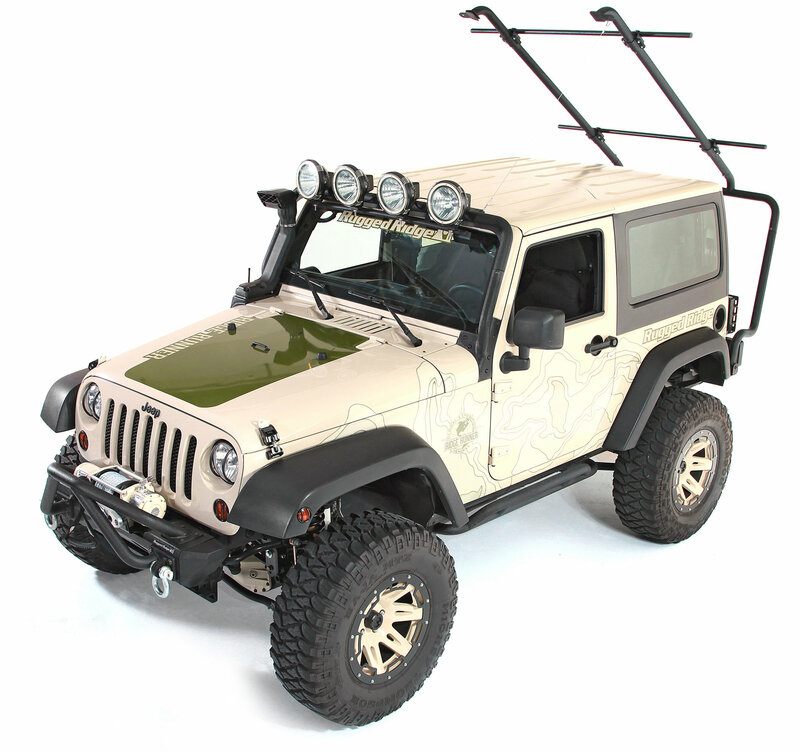 The unique swing-away feature allows you to access your soft top with ease, and the hard top or freedom panels can even be removed without removing the rack system. 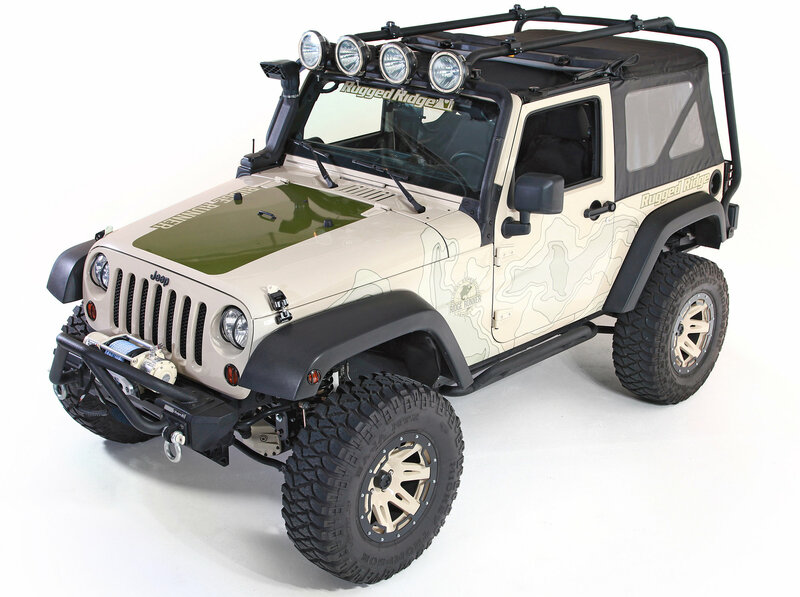 And as an added bonus, the forward mounting bar acts as an integrated light bar, plus it accepts the Rugged Ridge drop down light bracket (12110 5204) to mount up to 4 lights. Crossbars are sold separate. 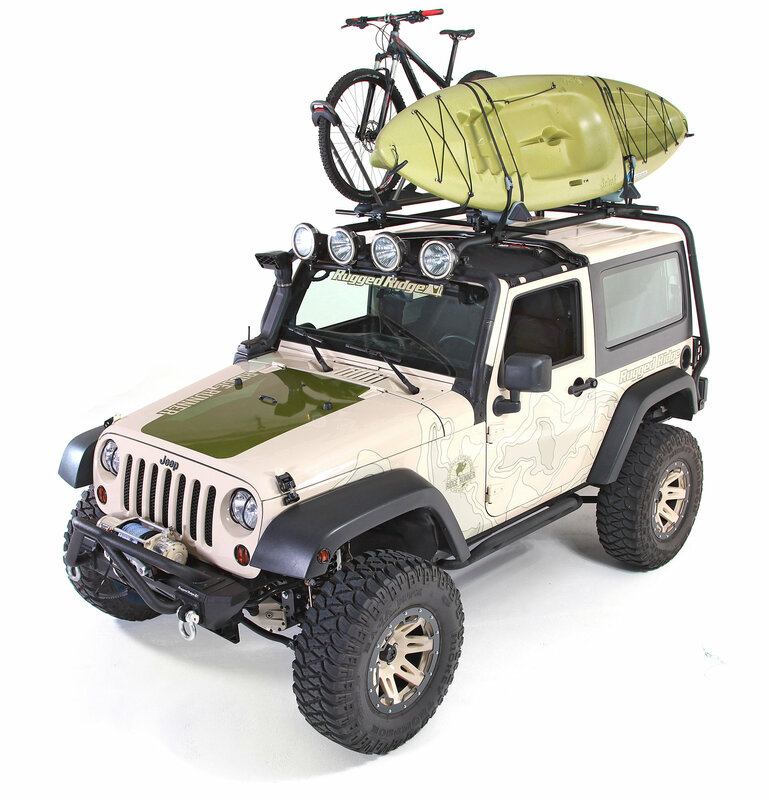 Optional clamps (12052 5010) available for the Roof Rack System allow you to mount industry standard cross bars and racks so you can carry your favorite bikes, kayaks, skis, boards, or whatever your inner Sherpa desires. All components are dual stage texture black powder coated steel and an e-coat rust preventative pre-applied. Backed by the industry leading Rugged Ridge 5-Year Limited Warranty, you can count on this rack to perform for years to come. 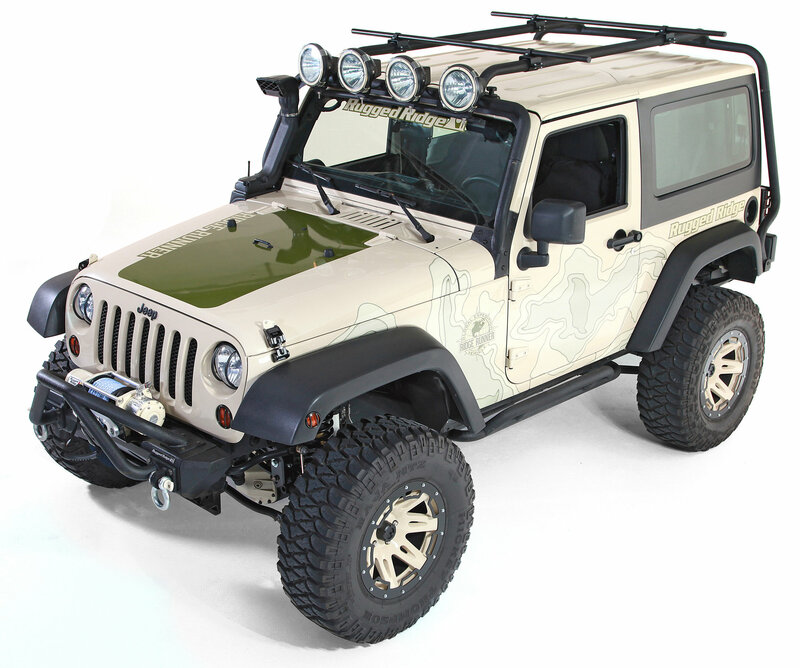 How much additional height does the rack add to the jeep? In other words, how much is clearance reduced. What is the weight limit on this rack? Per the manufacturer, this has a 300lb dynamic load rating.